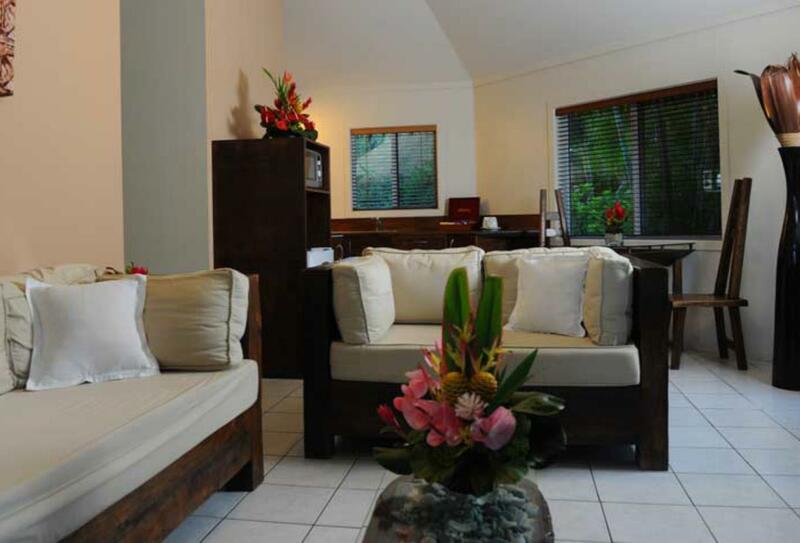 Crown Beach Resort & Spa Rarotonga is so delicately placed in the tropical environment that it’s almost seamless. Hazy sunsets, strolls along the beach and lazy days by the pool or on your private terrace are the perfect recipes for relaxation. Should you want a bit of action, why not try snorkelling in the lagoon or taking out one of the kayaks? You can follow the tour guide and explore the surrounding villages of the island, or head further afield to downtown Avarua just 15 minutes’ away. Oceans Restaurant is the front-runner when it comes to dining in the Cook Islands, with a superb selection of fresh seafood and delicious grills infused with the flavours of Pacific-Rim cuisine, as well as a weekly Polynesian buffet with traditional dancing and live entertainment. 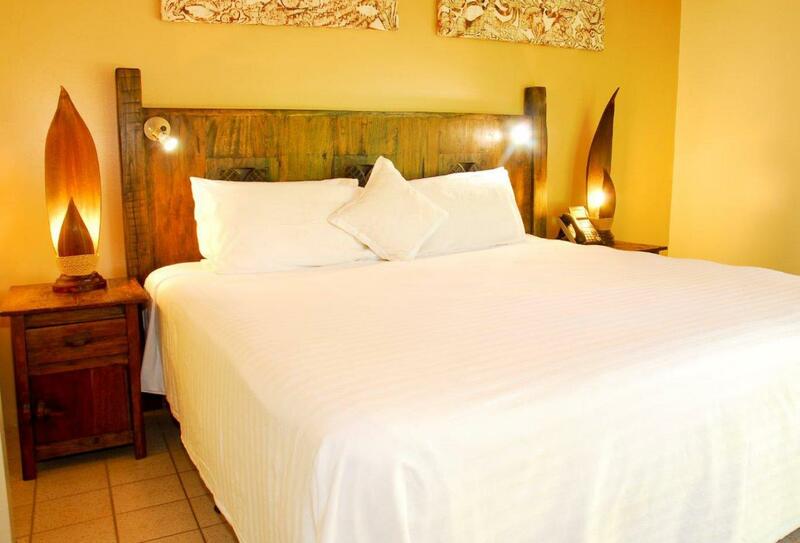 Perfect for honeymooners, the Beachfront Villa is a romantic, waterfront suite equipped with a large lounge and entertainment centre, full kitchen with dining and a master bedroom with a two-post king-size bed. Extremely intimate and secluded, these pool suites feature high stone walls, an outdoor dining gazebo, and private swimming pool to provide the ultimate in privacy for honeymooners and couples. 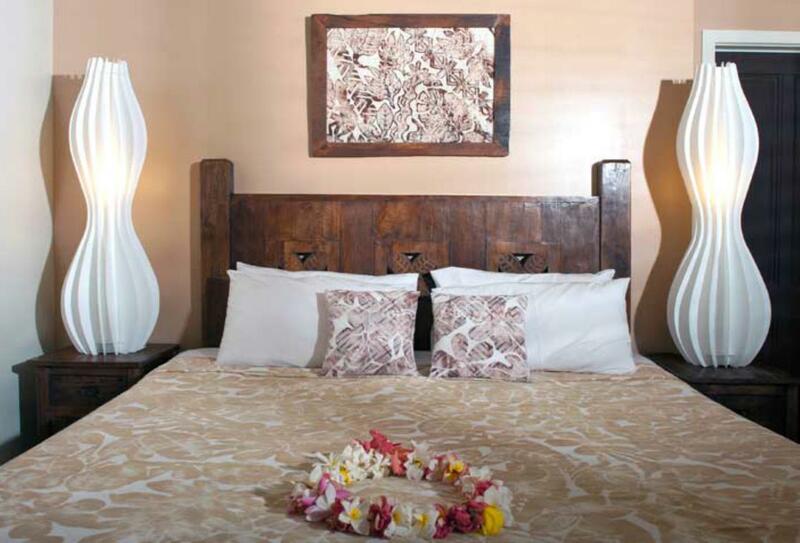 Set amidst the lush resort gardens, the One Bedroom Villa oozes a warm, Polynesian ambience. Ideal for couples travelling together, this luxurious two bedroom villa is set directly on the beachfront, looking out over the turquoise-hued lagoon. A modern and spacious two bedroom home, these fantastic villas feature a large lounge with entertainment centre, full kitchen and a laundry area, as well as two large bedrooms, making it perfect for a family or group travelling together. Crown Beach Resort and Spa in the Cook Islands is an ideal destination for your special occasion, and the resort offers the following wedding packages to help you celebrate. Price guideline: From NZ $1000. Price guideline: From NZ $2450. A peaceful sanctuary offering a range of treatments, drawn from natural ingredients and ancient therapies. 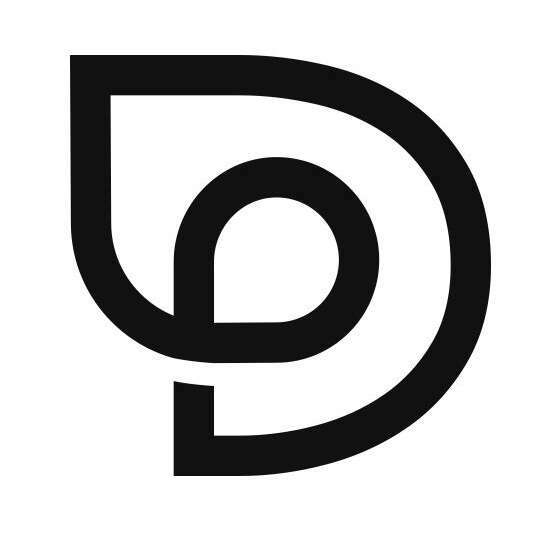 A qualified hair stylist and beautician is also on site here, offering a full range of hair and beauty services. 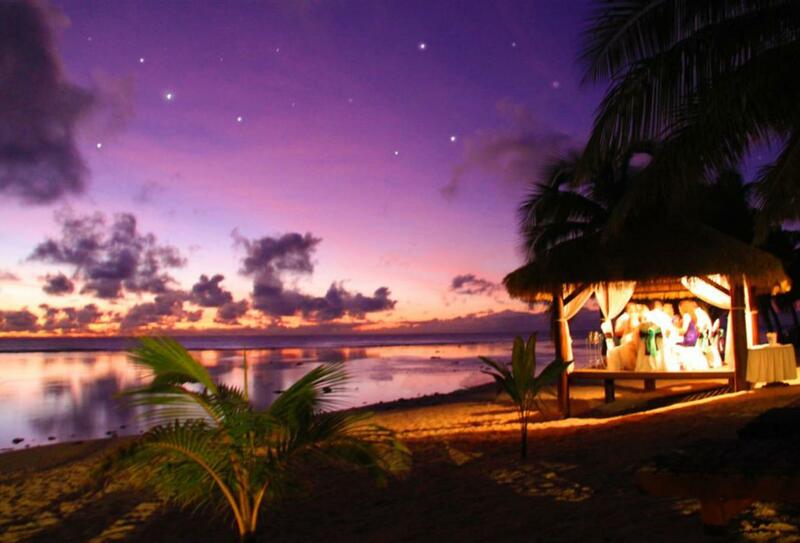 Enjoy a relaxed dinner on the waterfront, with spectacular views of the blue lagoon and mesmerising sunsets of Rarotonga. Oceans serves Pacific-Rum cuisine feature fresh seafood, delicious grills and meats, and a fusion of flavours from Asia and the Americas. Open for breakfast 07:30-10:00, lunch 11:30-14:30 and dinner 18:00-21:00. Expect weekly Polynesian buffets, themed nights and dynamic cultural performances on selected evenings. A perfect way to celebrate a special occasion, the Dinner on the Beach package includes a delicious waterfront meal in the beach gazebos, decorated with candles, flaming tiki-torches and flowers. Your private waiter will serve a gourmet 3-course dinner complimented by a chilled bottle of sparkling wine. Available daily, excluding Thursdays. Maximum 6 diners. On the western side of the island of Rarotonga in the Cook Islands, Crown Beach Resort and Spa is an idyllic South Pacific destination, with close proximity to the downtown area of Avarua, where you’ll find shopping, restaurants and a large array of resorts.